Step right up kids! It’s the latest album from Recess Monkey. Where have Recess Monkey been all my life? They’re a little bit of Madness, a touch of Split Enz and a measure of vintage Housemartins – sound good? Well their new album, In Tents, sounds even better. Inspired by the circus, In Tents covers everything from the big top and crazy sideshows to popcorn and bouncy castles. It’s long for a kids album (over forty-five minutes) but every track offers something different and it’s hard to pick favourites. I like the relatively sophisticated structure of Recess Monkey’s music. They don’t rely on the standard simple verse and chorus format. Instead, expect lots of crescendos, changes of tempo and layers of music and vocals. It’s exciting stuff to hear on a kids album. Things get off to an energetic start with Popcorn – it’s fun, frivolous and reminds me a little of the frenetic pace of Hand Jive from the movie Grease. For everyone that has ever braved a scary ride (and I’m having flashbacks to my Great Zipper Incident of 1993), listen to Sit and Spin. It captures the anticipation, the sick-making fun and the thrill of carnival rides. The pauses in the music spliced with a hypnotic chorus almost make you feel as if you are on a spinning ride. Stop, I want to get off! Things slow down with the charming ballad, Carousel. “Dad lifts me up onto the perfect horse…” Remember choosing the perfect horse? Remember the feeling if another kid got to the horse you wanted first?! I think my favourite track is Lemonade – check out the clip below. It’s kooky and the lyrics are funny. Run away and join this circus! 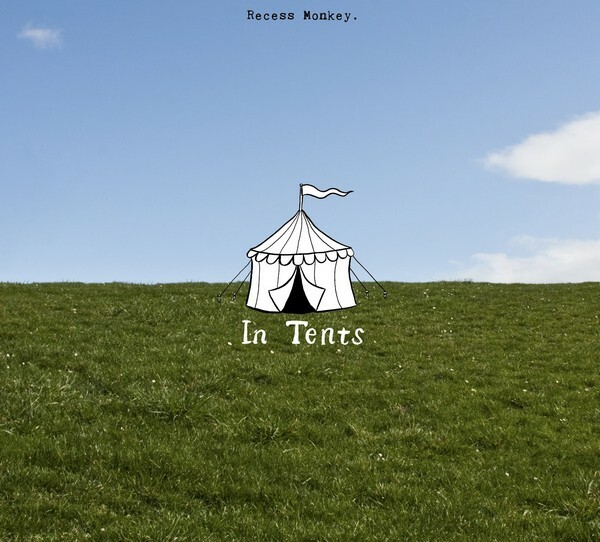 In Tents is available through iTunes for $16.99 or through Recess Monkey for US$14.99.